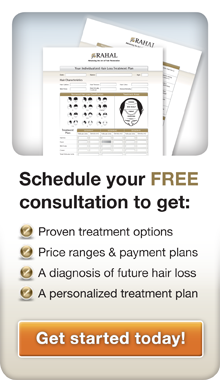 Considering a FUE Hair Transplant in Tampa? We spoke with “James”, a Rahal FUE Hair Transplant patient from Tampa, FL. He told us his hair loss story. It was simple enough: He had a great head of hair. He lost it. And he got it back again… with Dr. Rahal’s help. I had great hair when I was younger. I was actually voted ‘best hair’ in my high school class! But by senior year, I began to see I was losing my hair and it got bad pretty quickly. Through my college years, my hairline receded quickly. I was thinning at the back of my head and had a really bad receding hairline. Overall, my hair was kind of thin. When I graduated, in my early working years, I lost more and more hair and it was pretty difficult for me to take. Being voted ‘best hair’ then going back balding would have been very embarrassing. Now I can go with full confidence. I had my hair transplant operation two years ago when I was 29. I have better hair now than when I was in high school! My hairline and my temple area are great. The hairline is very, very important to me because it’s something I see every day. I wanted a hairline that looked natural at the temples. After talking with Dr. Rahal I was confident that he was expert in the hairline and temple area and that he’d do a great job. He did. Now I use products in my hair, or comb my hair back, or to the side, no problem. Having a full head of hair again makes me feel so good. I’m going back for a high school reunion in a couple years. Being voted ‘best hair’ then going back balding would have been very embarrassing. Now I can go with full confidence. Like many men, ‘James’ decided to hide his hair loss any way he could. Hats. Combovers. No control. I remember when I used to wear hats all the time. If I was in the wind without a hat, my hair would blow back and my hair loss would be obvious. I remember going on a date, going on a roller coaster where they had cameras taking pictures as you’re going down. I looked really, really bald. Now I’m outside in the wind, playing golf, basketball, tennis, all kinds of sports. I don’t have to wear hats. I’m very confident my hair looks good even in the wind. I used to comb my hair to try to cover up balding as best I could, but when I’d go swimming and come up out of the water, I’d have this little strip of hair in the front of my head. Now I can go in the pool and have a full head of hair, not a tiny strip in the front. I live in Florida and the beach is a big deal. Now I can go swimming with full confidence. Here’s another example. I went home this past Christmas and my family had pictures of me from a couple Christmases ago. In the picture, I’m balding and I looked 10 or 20 years older than I was at the time. I saw that picture and it brought back the feelings when I was at that point. Today, my whole family says, “We cannot believe your hair!” Wow, what a blessing to have it so different today. Sure, looks are superficial. Physical appearance is not the most important thing, but for me, balding was a struggle just because I felt like I really was becoming less attractive and desirable than I once was. It felt like I was getting old, looking old, and it was difficult to handle emotionally. ‘James’ approached hair transplantation with a healthy dose of skepticism, realizing research was important. I tried a lot of different treatments, shampoos, you name it. But I eventually realized if I wanted to really do something about balding, I’d have to have a hair transplant. At the beginning, I was resistant to the idea. I didn’t believe a transplant could really do something with what hair I had left. What’s more, I’d seen people who’d had bad hair transplants. That’s not the look I was going for. 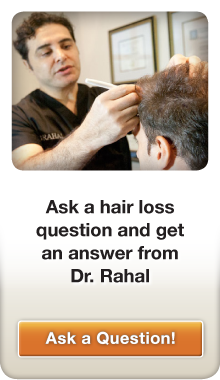 Why Choose Rahal’s Hair Restoration Center? ‘James’ wanted to go with the best, he wanted to go with Rahal. 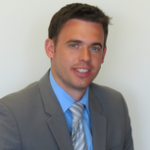 The research he did helped lead him to the hair restoration center of choice. However, I did hear some positive things about success with hair transplanting. I did some research and I realized transplanting could be a solution, but it was important to go to the right person, to go to the best. My research led me to the conclusion that Dr. Rahal is the best in the entire world. I decided to go with Dr. Rahal’s Follicular Unit Extraction (FUE) method because I was concerned about scarring. I didn’t want scars that other types of hair transplanting can create. I didn’t know what to expect but I saw some before and after pictures on the Rahal Transplant website. Some of the pictures seemed too good to be true. I called Rahal, and they asked me to send some pictures of myself. I sent them and Dr. Rahal said I’d be a good candidate. Even though I was down in Florida, I decided to fly all the way up to Canada to have the surgery done. I decided to go with Dr. Rahal’s Follicular Unit Extraction (FUE) method because I was concerned about scarring. I didn’t want scars that other types of hair transplanting can create, and the results of FUE looked as natural as possible. I was pretty nervous going into the surgery. I didn’t have any idea what to expect. I talked with some others who were at Dr. Rahal’s after their surgeries. I saw what they went through. Throughout my procedure, Dr. Rahal was extremely professional. The entire staff was great. Very courteous, very caring. ‘James’s experience in the healthcare industry lead him to appreciate Dr. Rahal’s professionalism and patient-oriented approach. I’m in the healthcare industry and I see that some doctors deal with patients strictly like a business. But Dr. Rahal and his staff were personable and more than courteous. They answered all my questions very well, and made me very comfortable. Dr. Rahal and his staff were personable and more than courteous. They answered all my questions very well, and made me very comfortable. I talked with Dr. Rahal about my goals and he gave me a realistic opinion of what he thought would be possible for me. It was better than what I was expecting. The surgery lasted quick a while. I got over 3000 grafts. It was a long surgery. The surgery itself wasn’t really very painful at all. I had no real pain, they numbed me up. That night I had a pretty good headache but that night was the toughest part. After that, everything went well and the pain was nothing. I had no pain the next morning. I followed the instructions Dr. Rahal gave me very closely, as prescribed. I used a spray, an oil, and the vitamin E oil he prescribed. ‘James’ now wakes up, goes to work, and lives his life with full confidence thanks to Rahal. Today, I look at myself in the mirror and it is a blessing I cannot believe. I really cannot believe I was balding so badly and that I’m this person now with a full head of hair. It’s a complete transformation. I tried Rogaine, Minoxidil, and other treatments–these helped, but the results of surgery are unbelievable. Since surgery, I’ve never had one person say my hair looks unnatural. When I was balding, I used to see guys with full heads of hair and wonder what it would be like to have a full head of hair again. Now I have a full head of hair and I couldn’t be more grateful about the way it’s turned out. I am more than pleased. I feel very blessed to have the opportunity to be treated by Dr. Rahal. I wanted to do something to thank him and I’m very blessed to be able to tell you my story because this experience has definitely been life-changing for me. My hair is not an issue anymore. I still use precautionary measures but as far as the confidence? I didn’t have it before, but I’m very, very confident with my hair now. I am in medical sales so I’m often in front of people in sales situations. Appearance is important in sales. You want to try to look your best. Confidence absolutely counts for a lot in sales. I’d say I really sympathize with people who’re going through hair loss. It doesn’t bother some, but for people like myself, it’s a real struggle and a blow to the ego. Balding versus having a full head of hair makes a big difference. I felt like I really couldn’t approach an attractive woman because I was not the ideal look; because my hair was balding. I’d hear people say, “Poor guy, he doesn’t have hair.” These days, when I see someone who’s bald, I really sympathize with him because that was me. Balding is a really difficult thing to go through. More so than anything else. As a man, when I was balding, I felt I was losing my sense of identity, my sense of worth, my sense of manliness. Did I feel less virile? Absolutely. It’s amazing how differently people perceive me, good or bad, with or without hair. I definitely see a difference in how people perceive me. I don’t know if that’s because I look different or because I have more confidence now. I don’t feel insecure. I feel a lot of it has to do with having a full head of hair. I see a definite difference, a real-world difference, with a full head of hair. ‘James’ found out that Rahal restored more than just his hair. Dating is important to me and I’m dating around quite a bit these days. I’ve taken a lot of girls on dates and had a lot of girlfriends. I’m single but waiting for the right lady to come along. There’s one I’m interested in now but we’re just starting to hang out together and we’ll see where the good Lord leads. I’m trying to be patient. I met her after my surgery. Everything follows when you’ve got a core of self-confidence. Life is better in general. I’m 31 and I’m ready to meet the right lady and settle down. Before, I felt I might not be able to be attractive enough to attract the woman I really wanted, that I couldn’t get the best mate. I thought I’m not good looking enough because I’m bald. I wasn’t confident enough to talk to the pretty girls because I wasn’t confident in myself. The girls, the dating, the relationships–it’s all great but the biggest thing is really being confident in yourself. That’s more important than anything. You look at yourself in the mirror and it’s a difficult thing to deal with when you’re not as attractive as you once were. It feels like there’s something wrong. Dating pretty girls is nice but that’s secondary to feeling confident in yourself. Everything follows when you’ve got a core of self-confidence. Life is better in general. ‘James’ didn’t want to go with anybody when it came to his hair. He wanted the World’s best hair loss specialist, not just Tampa, Florida’s. My best advice for someone thinking about having a hair transplant is do your research. Don’t just listen to what others have to say. Do your research on your own and do a lot of comparison shopping. It’s extremely important to get the right physician. I’m in the medical industry and I’ve seen that different doctors have all kinds of different skill levels. A hair transplant is something that’ll last you the rest of your life, and it really is extremely important to select the right physician. What’s a great physician? Dr. Rahal knows how to harvest grafts in a natural way. You literally can’t tell I’ve had anything done. When I was balding, I’d get my haircut. It was usually a pretty girl doing the cutting and I’d be so embarrassed, I dreaded getting my haircut. The first time I had my post-surgery haircut, it was an amazing feeling: “Wow, this is real; a real head of hair.” The girl cutting my hair actually had no idea I’d had a hair transplant. She was telling me how great my hair was, the feel and everything. I can’t say enough about Dr. Rahal. In my experience, he’s the best and going to him was one of the best decisions I ever made. It was expensive and a long trip to Canada, there was some pain that first night, and through the first couple weeks wasn’t that much fun. It was a sacrifice but it was so worth it. It really has changed my life. I can’t say enough about how thankful and pleased I am to have found Dr. Rahal. Please tell Dr. Rahal I’m extremely grateful; more than pleased. And that everything’s going great. If anyone asks me, I’d recommend him very strongly. In fact, if Dr. Rahal has a patient who wants to talk to a real person, a past patient of Dr. Rahal’s, I’m happy to talk to anybody about my experiences.